I highly recommend Joshua Suke of the Shawn Lepp Team to sell a home! The process from beginning to end was fantastic. We had interviewed 4 agents when we decided to sell, and Joshua stood out from the beginning. Joshua demonstrated during his interview the benefits that himself and the Shawn Lepp team would provide for us. Most importantly, we are extremely pleased with the sale price! We were also impressed with Joshua's knowledge. Any time myself or my wife had questions, Joshua would respond promptly with the answer. We had a 5-star experience using Joshua Suke of the Shawn Lepp team to sell our home! It is with gratitude that we write this acknowledgement of Shawn Lepp team as our professional representative in buying and selling our house. Throughout the entire process Shawn Lepp team staffs were very professional,conscientious and motivated.We always felt as though we were always a priority. In all transactions both buying and selling our house both real estate agents were very professional,organized,thorough,knowledgeable and personable. And to the interior decorator, Sue Pitchforth who transformed our house very well and did a very good job! We would like to say thank you to all Shawn Lepp team from the agents to the entire staffs. We highly recommended this team for buying and selling your house. We had not bought a house in 20 years and were about to make a huge change in our lives, moving out of a subdivision and into the country. Have only bought one home before, where do you start? You start with an amazing real estate agent! Thank you so much for taking the time to help us through this overwhelming adventure! You were very professional, comforting and knowledgeable! We could not have done this without you! Although there were many bumps in the road we ended up with our dream house in our own paradise. I can't thank you enough for all you did for us from start to finish and then some! Thanks again Shawn Lepp Team for helping us sell our house for more than we ever imagined selling it for! The process, from our initial meeting with Shawn to the day we accepted an offer, went incredibly smooth. Even though you were juggling a lot of listings, everybody involved was on the ball and made us feel like the only family you were working with! We truly believe that it's because of your amazing team, and Shawn's strong negotiating skills, that we were able to get top dollar for our first family home. 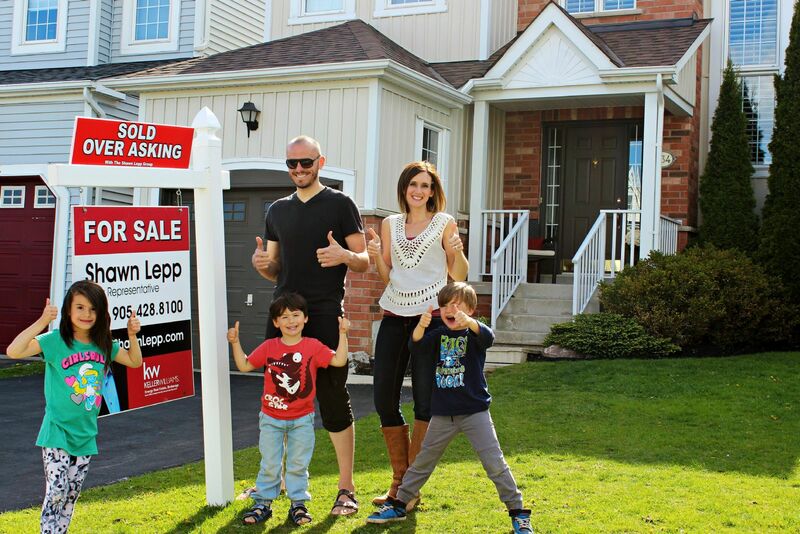 We will be highly recommending the Shawn Lepp Team to anyone we know in the Durham Region looking to buy or sell. When I first met with Marion, it felt more like I was meeting with an old friend than with a realtor I’d never met before. I was quite new to the entire process of purchasing a home, but she made it as stress-free as possible. I’d always heard stories about how much of a hassle it could be, and I think one of the biggest reasons that I never experienced any of that stress was because of her. She knew exactly what I was looking for and always gave her honest opinion—she wasn’t trying to sell me on something that she knew wouldn’t be right for me. That was huge for me, because most of the time I don’t even think that I knew exactly what I was looking for. To have someone like her there to walk me through the process and guide me down the path that I wanted to go was very important to me. To be honest, she felt more like family than a realtor—she was so easy to talk to and really understood what I wanted in a house. I’m very grateful to Marion for everything she did, and will definitely be bringing her in for any future housing opportunities! We had the pleasure of recently working with Joshua Suke in selling our home. From the start we knew we were in good hands. Joshua provided a clear vision on what the next steps were, what needed to be done and when. It was very helpful to have Sue Pitchforth on their team to help visualize the needs to get the home in order for showings. The evening of accepting offers, Joshua arrived calm and cool and had us relaxed and ready to enjoy and learn a little about the real estate world. Our house sold above asking! Thank you to Joshua, Sue and everyone else on the Shawn Lepp team who helped in making this a very stress free move. By: Christine and Moe K.
We had the pleasure of working with Joshua Suke and we cannot be any happier (my face still hurts from smiling). His knowledge and professional demeanor is incomparable. His precision and ability to deliver as needed from the first day we met is unlike any other. He put us at ease throughout the whole process and always had the right answers. Not only a professional and great person to work with but a friend who gave us the confidence and giggles we desperately needed throughout this stressful and emotional process. One of a kind...shark amongst fishies!!! I will always tell people looking for a agent to contact your office . I will tell them to ask for Joshua as I've said before we could not of had a better agent . He was so professional it was like watching a artist paint . ( True ) lol . Thank You to all from your team Shawn it was an experience . We are so glad that we got you as our agent. Based on an evaluation of our house and current market in Whitby and our neighbourhood, you developed a strategy to sell our house. You explained patiently to us how and why the strategy will work. The result demonstrates that you have planned and executed the strategy to perfection. You have acted in the most professional and courteous manner, not only towards us but also agents representing buyers. We are grateful to your team of agents, office administrators, designer and photographer and we are sure that you are proud of their commitment and efficiency. Thanks again for providing understanding, stability and trust in our life-changing moment. By: Lucie & Andrew E.
Lucie and I cannot say enough about the great job you did. We had a very positive experience and will recommend you to friends and family. Thanks again for your help. By: Greg and Natalie H.
Thanks for everything Shawn! Couldn't be happier with what you and Keller Williams Energy Real Estate brought to the table to get what we wanted and so fast. 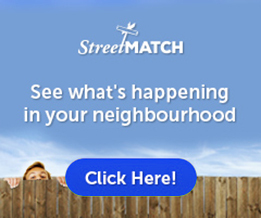 Shawn Lepp will be the first name I say if anyone I know is thinking of selling in the Durham region! By: Mike & Marisa W.
By: Zubeir & Zara J. You have truly been the BEST agent we’ve ever had. From the moment we met you, you blew us away with your expertise, knowledge, and your honesty. To top all that, you’re an amazing person. You exceeded all our expectations – in every way. Thank you very much for making the sale of my house very smooth / stress free. Especially the coordination with Great Gulf Homes (Betty and Team) was great. It was perfect transition between selling, buying and moving in the new home. Everything was so well planned including schools for my kid; I did not find any hick up. It was a great experience working with your team. Surprisingly I did not miss any box. By: Dave L & Mary B. When we decided to sell our property we interviewed 5 agents before making the critical decision who to hire. We decided to choose Shawn Lepp due to his business like approach and straight forwardness about the entire process made us feel at ease. We could feel from the many conversations with the Shawn Lepp Team that "customer satisfaction" was the most important thing for them. A small example of this was the constant contact with Shawn which did not stop regardless of the day of the week or time of day, proving to us his high level work ethic. Everything that was promised to us was 100% delivered without exception. The one of a kind innovative and aggressive marketing techniques resulted in multiple offers and a sale of our property after 2 days over our original asking price. It goes without saying we would highly recommend the Shawn Lepp team to our friends and family. By: Barry & Laurie C.
Thank you again for all your help in the Painless sale of our home. You and your team were like a well oiled machine that got the job done in record time! We will definitely recommend you to any and all we know who are interested in selling or buying a home! We were able to find a place for Sept 1 so Laurie and I are ready to start a new chapter of our lives Thank you and your team again. By: Bruce & Diane S.
I wanted to thank you for taking the time to come to our house and speak with us. As you know I am skeptical at best, having built a career in sales management I can be very cautious when dealing with sales people, especially when I am handing over the sale of one of my largest assets to people I don’t have a history with. You and Brenda Denman took time to explain your marketing system and sales philosophy to Diane and I, I never once felt rushed nor pressured and this put us both at ease. 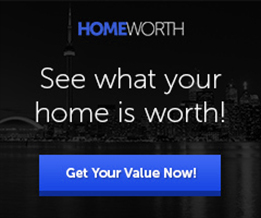 During our initial discussions I could clearly understand your value proposition and that there was a distinct difference to the approach you take in selling/marketing a home. As you know we had listed our house briefly last year with another agent, this resulted in numerous open houses yielding little if any results. After a long discussion Diane and I both felt comfortable moving ahead with the Lepp team, and so the process began. The process of selling our house was handled by Brenda Denman and I want you to know that she is a true professional. I understand that not only does she sell, but is also the office manager. If I had any advice for you, it would be to keep her locked away at your office because if other real estate companies get any idea of how good she is, surely the flood of offers will start. Both Diane and I cannot say enough good things about Brenda, she is level headed, always does what she says she will, is very well educated on the real estate market, friendly, engaged and just extremely professional. Her attention to detail, follow up and industry knowledge are signs that point to her obvious talents as a great sales person. Brenda made this entire process stress free for us; I can’t say that we did the same for her! Not only did she sell our home in 3 ½ weeks, she worked with us to find our next one. This was no easy task as we are moving out of Toronto. Brenda adjusted her work schedule to suit ours, was always on time and was always insightful and fun to be with during these marathon journeys. I am sure that because of our long trips it caused Brenda countless late nights so she could catch up on office and administration work that we pulled her away from. The house we purchased is anything but cookie cutter and we have lots of questions about systems and warranties, she always got us the answers we needed. Diane and I cannot thank you, Brenda and your entire team enough for your help with the process of selling our house and in buying a new home. It warrants acknowledgement of your entire staff from Marion who conducted our one open house to your Admin staff (I am sorry I don’t know the names) who were always courteous when scheduling appointments. A great team is always a reflection of their leader, you should be very proud. Diane and I will recommend the Lepp team at every opportunity. We would like to thank you and your team and to express our gratitude to Teresa as she exhibited a great level of professionalism and knowledge in dealing with both our sale and purchase. She was patient, a great listener to our requests and an excellent advisor. We highly recommend Teresa to any buyer or seller with high expectations as we had. Thank you again to your office and Thank You Teresa for all your guidance and support. As always, its been an absolute pleasure to work with your team Shawn. Marion is an absolute gem and I love the fact that I can rely on each of you, Brenda and Ashleigh also......forgive me if I have forgotten anyone as I know there are others in behind the scenes when organizing the closings to complete the sales and purchases. [We] are very much looking forward to combining our families and moving in to a great home - all with the wonderful help of your team and my Marion. Marion, Thank you for all your help, support and guidance throughout the sale process. You are the best! We fell in love with the house and thanks to Lois' experience, hard work and great advice...we now own it. She made the whole process feel relaxed and stress free. Lois is an honest and understanding agent and we will forever be grateful our paths crossed. By: Ria and Michael H.
Shawn called to congratulate us and I let him know how happy we were with the service from his great team!!! You, Brenda, Shawn and Amanda have done a great job with our sales....thank you to everyone who helped make these transactions flawless!!! We will highly recommend your fantastic team!! I would recommend Shawn Lepp and the team to anyone. Shawn is very professional, goes beyond expectations to make sure your house is presented and seen by all agents and buyers. Your home will be sold almost as soon as you list it and you will get every penny of your asking price or more. Best experience I ever had with any real estate team !!!!! You made what was becoming a bad experience a great experience when you and the Shawn Lepp team took over on the sale of my last house. Felt totally like a weight was lifted. You kept all your promises and more. So Thank you!! By: Peter and Helene F.
You sold our house for us at time when the economy and real estate market was really poor not to mention you got within $1,000 of asking price for us! The staging you provided for us was 'second to none'! Colette took all the stress out of trying to make a home show well! That whole process was truly a pleasure. We also particularly appreciated the virtual tour! Shawn, your whole team is truly amazing and made selling our home a pleasure. We'd recommend your services to anyone! !